The U.S. Food and Drug Administration has added new warnings to the labels of Lipitor and other cholesterol drugs called statins. According to a recent study, statins may raise blood sugar levels, leading to memory loss and increasing the risk of developing Type II diabetes. 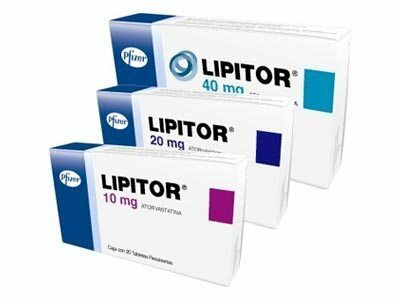 Lipitor, manufactured by Pfizer Inc., is one of the most widely used statin drugs. The added warnings are based off a study from University of Massachusetts Medical School researchers, who monitored over 150,000 diabetes-free women ages 50-70. Participants were monitored over 7 years. The study results are staggering – women who took statins were 48% more likely to be diagnosed with diabetes than those not taking statins. There are also previous studies involving men that showed a 10-12 percent increase in diabetes among statin users. Individuals taking statins for heart disease should talk to their doctor about their risk of developing diabetes from Lipitor and other statins. For more information on diabetes from statins, specifically Lipitor, please visit our Lipitor and Diabetes information page, or contact a dangerous drug lawyer if you developed diabetes while taking Lipitor.